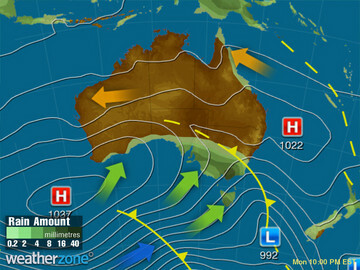 A front should arrive in the south late in the day, introducing patchy rain, showers and cool gusty winds. A high over the Tasman will feed showers over northeast NSW and eastern Qld. Unstable easterly winds will direct showers and a few storms over the far northern tropics.